Simply and obviously put, Marley — director Kevin Macdonald’s involving and comprehensive documentary — focuses on the life of singer/musician Bob Marley. But Macdonald’s film has an expansive quality that goes beyond the simplicity its title suggests. Marley and its many tangents tend to waft over you like the irresistible rhythms of reggae, exposing us to a life that was about music, race, ganja, Rastafarianism, poverty in Jamaica and Marley’s kaleidoscopic series of personal relationships. That’s a lot of territory even for a 144-minute documentary, but Macdonald’s big-screen biography covers most of it well while sampling enough of Marley’s music to keep fans happy. Marley, we learn, was born to an 18-year-old black woman and a 50-year-old white British Royal Marine, who had little contact with his mixed-race son. Marley spent his early years in impoverished Jamaican backwaters, moved to Kingston, and eventually found a way to use his alienation to spur his musical creativity. Early on, Marley and the Wailers, offered their rendition of A Teenager in Love, adding soul and flavor to the Dion and the Belmonts hit, but Marley remains best known for such songs as I Shot the Sheriff , No Woman, No Cry and dozens more. As with many great creative figures, Marley can seem elusive, a charismatic star seen by Macdonald (The Last King of Scotland) through a variety of prisms: the observations of his wife Rita, the recollections of a daughter (one of 11 children), and of his fellow musicians and cohorts. 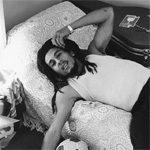 We learn about the development of Marley’s religious faith and about his womanizing, just about everything that Marley packed into a life the ended in 1981 when he succumbed to cancer at the age of 36. Neither an act of hagiography nor an expose, Marley takes an intriguing look at a life in which music, politics and spiritual fervor sought harmony and coexistence.